Complete your look in style with the help of Ania Haie. 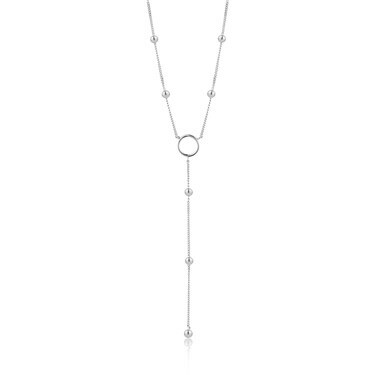 This sterling silver necklace is crafted with a sleek Y shaped design, perfect for balancing your look. The beaded details and openwork details add a subtle and minimal finish.